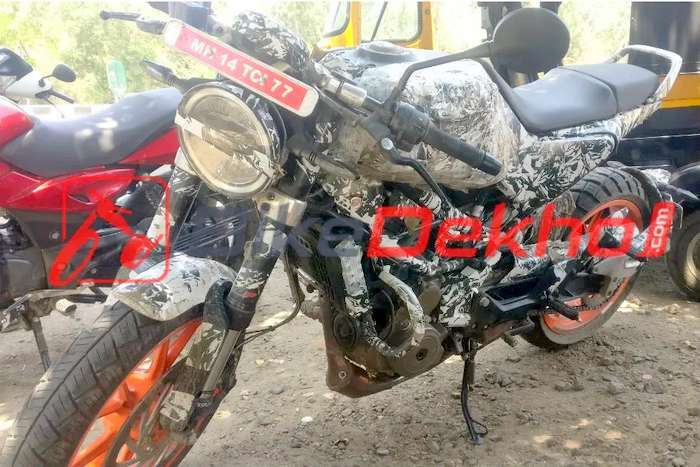 Husqvarna Vitpilen 401 was recently spied outside a KTM Bajaj showroom in Pune. Husqvarna is actively testing its 401 twins in India, ahead of official launch later this year. 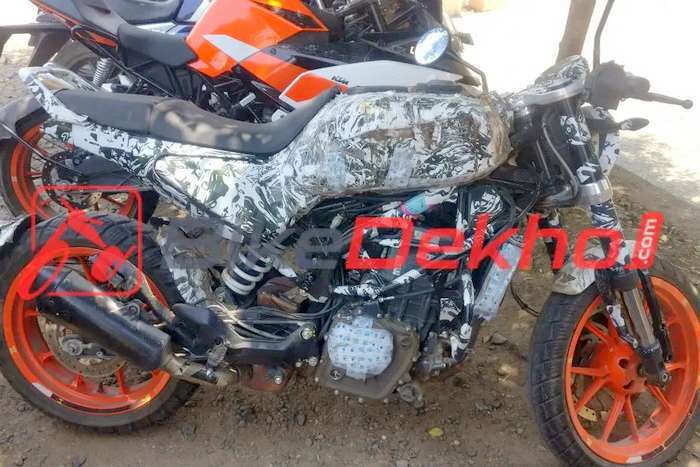 A camouflaged test mule of the Vitpilen 401 has been spotted by Bike Dekho. The India-spec Vitpilen 401 will be notably different from the same bike sold abroad. Husqvarna Vitpilen 401 on test sported the same alloy wheels as is seen on the Duke 390 which is on sale in India. The Vitpilen 401 on sale in Europe, gets spoke wheels. Alloys are also on offer in markets abroad, but in black shade. The tyres on the Vitpilen 401 on test in India sported MRF tyres. Vitpilen 401 sold abroad, get Metzeler tyres. Other notable features include split LED headlamps, an engine crash guard also borrowed from the Duke 390 and a fully digital instrument cluster. 2019 Husqvarna Vitpilen 401 gets split seats, low positioned clip on handle bars. In terms of suspension, it will get premium WP 43mm USD fork in the front and monoshock suspension at the rear. Braking is via 320mm front and 230mm rear disc, with dual channel ABS offered as standard. Husqvarna Vitpilen 401 is a neo cafe racer and commands a more dedicated riding position unlike the Svartpilen 401 which is a neo-scrambler meant for some mild off-roading riding in a more relaxed riding position. Husqvarna 401s get their power via the same engine seen on the KTM 390 Duke. This is a 373.3cc single cylinder, liquid cooled engine offering 43 PS power and 37 Nm torque, though the engine will be tuned differently to comply with café racer and scrambler traits. The engine will also be tuned to comply with new BS6 emission norms coming into effect from April 2020. In terms of pricing, the Husqvarna Vitpilen 401 and Svartpilen 401 could be priced higher than the KTM 390 Duke, in a price range of around Rs.3 lakhs. Both bikes will be produced at the Bajaj Auto plant in Chakan near Pune. They will be sold and serviced via KTM India dealers.